To my mind there’s something mythic and altogether magical about Love Streams, John Cassavetes’ momentous and penultimate picture from 1984. For the past twenty years or so I’ve searched for it, requesting it to be shown at arthouse and repertory cinemas, even tracking down a wearied, third generation VHS pirated copy at a flea market, almost unwatchable, but worthwhile as an artifact of my longing and devotion. 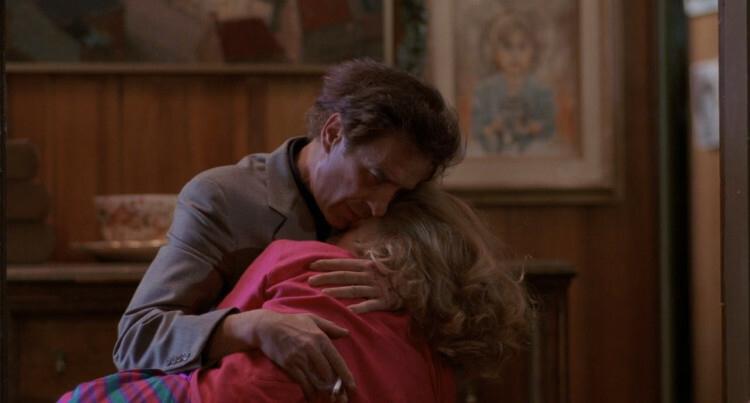 My passion for the film was first fuelled by Jim Jarmusch who, in a few interviews I’d read with him in the mid-‘90s, had dropped Cassavetes’ name and singled out Love Streams in particular, as one of his most treasured, and favorite films. That was enough for me. Jarmusch was the primary reason I went to film school –– the secondary reason was probably a tie between the writings of Pauline Kael and the early, inspired films of Hal Hartley –– he was my gateway drug, and one of the first grottos I tumbled down, as a result, was Cassavetes. Cassavetes was, in many regards, the father of American independent cinema in the 1960s. I loved his DIY ethos, the grit, the handheld feeling of spontaneity and voyeurism throughout, and his regular cast of brilliant actors that he always worked with—including Seymour Cassel, Ben Gazzara, and his wife and muse, the unrivaled Gena Rowlands. Cassavetes himself was a notable, accomplished actor in his own right, with roles in The Dirty Dozen (1967), and Rosemary’s Baby (1968) amongst his most memorable. Thankfully, in recent times the good people at Criterion have, at long last, made Love Streams available in both DVD and Blu-Ray formats. Gorgeously restored along with a requisite wealth of first rate supplementary materials, finally rendering my worn VHS bootleg the antiquated relic I always knew it to be. Seeing and feeling this masterpiece in all its majesty restored is a small-scale renaissance, worth the wait and every bit as lambent and delicate as I knew it to be. Widely observed to be Cassavetes’ last “personal” film (he would make one other, the more mainstream comedy caper Big Trouble in 1986), Love Streams is adapted from the stage drama by Ted Allan (Lies My Father Told Me). The story follows alcoholic lothario and writer Robert Harmon (Cassavetes), his fierce and befuddled relationship with his sister, Sarah Lawson (Gena Rowlands, superb as ever), a divorcee in the midst of an emotional crisis. The first act of Love Streams follows Sarah and Robert independent of one another. Sarah is in Chicago, going through a messy and difficult divorce from her husband, Jack (Seymour Cassel), who’s also getting custody of their eight-year-old daughter, Debbie (Risa Blewitt). Robert, meanwhile, is a renowned novelist living in Los Angeles, whose booze-fuelled disintegration is causing him to self-destruct, which is intensified when he suddenly has to watch over his 12-year-old son, Albie (Jakob Shaw), a task he’s too devil-may-care to comply. Eventually the siblings reunite and their roles reverse. The off-kilter tone of desire and despair, hope and heartache plays out in light and dark colour compositions, Robert and Sarah seek emotional attachment in their interior, almost subterrane world of sympathy and human bonding. The brittle phrenic state that Sarah is in is often sketched in surreal spirals—and yet for all of Cassavetes aversion for classical structure, nothing onscreen feels false or overstated. 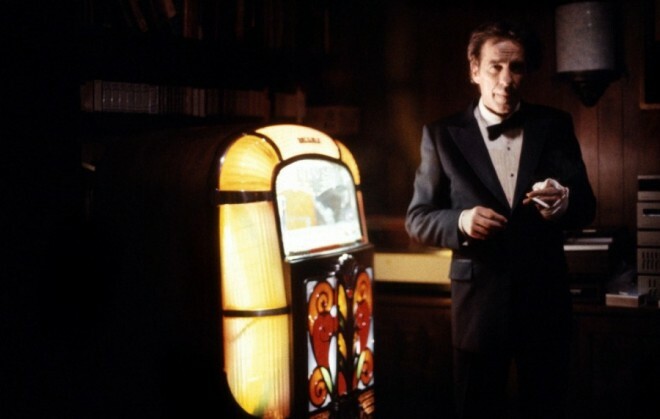 Impossibly, during the production of Love Streams Cassavetes learned he had liver cirrhosis, that it was killing him and that, at best, he had six months to live (Cassavetes would tell almost no one this and end up fighting for five more years, eventually succumbing to the disease in 1989). It’s contrary to reason not to view this film without feeling the anguish that Cassavetes must have endured, and as these forlorn figures are so up against it, so to is the urgency of the artist behind it. It is easy to envisage Love Streams as something ostensibly close to a weighty artist making his definitive statement, requiescat in pace. My initial exposure to Cassavetes the writer/director, prompted by Jarmusch’s excited fanboy fever, first lead me to A Woman Under the Influence, and Rowlands’ feat of strength in the titular role. It’s clear and unequivocal in all their work together that Rowlands is his greatest spark, a muse to bring all other diversion to a screeching halt. Her close-ups spellbind, the fire in her eyes melt all in her gaze, and Love Streams may well be her performance pinnacle. Her portrayal, like the film itself, is hypnagogic and hilarious one moment, harrowing and heart-rending the next. Sometimes harsh and excitable, wounded but still well founded, and deep, Love Streams is a fountain of sentiment and courage, gushing forth now and forever.